It gives us great pleasure to announce J Scott Coatsworth, Angel Martinez, and B. A. Brock as the guests on episode 124: Renewal, or Handsoap for the Masses! This week J. Scott Coatsworth (Moderator of Queer SciFi, founder of QueeRomance Ink), Angel Martinez (of Mischief Corner Books), and B.A. Brock (Also of Queer SciFi) join Vance to talk about the art that is the Flash Fiction contest, what they looked for as judges, and to announce the release of this year’s anthology: Renewal. Scott then shares his upcoming epic science fiction release, The Stark Divide. J. Scott Coatsworth was indoctrinated into fantasy and sci fi by his mother at the tender age of nine. He devoured her library, but as he grew up, he wondered where all the people like him were. He decided that if there weren’t gay characters in his favorite genres, he would remake them to his own ends. He has published fifteen stories, including two novels. He runs Queer Sci Fi and QueeRomance Ink with his husband Mark, sites that celebrate fiction that reflects queer reality. 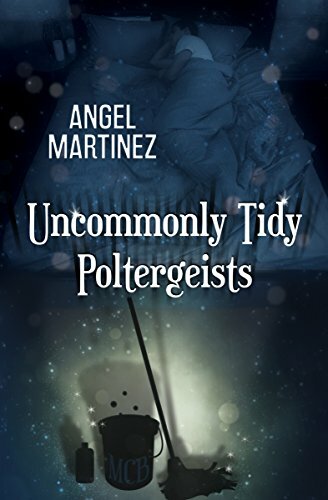 Angel Martinez is the unlikely black sheep of an ivory tower, intellectual family. She has managed to make her way through life reasonably unscathed. Despite a wildly misspent youth, she snagged a degree in English Lit, married once and did it right the first time, (same husband for almost twenty-eight years) gave birth to one amazing son, (now in college) and realized at some point that she could get paid for writing. It gives us great pleasure to announce J Scott Coatsworth and Angel Martinez as the guests on episode 083: The 2nd Annual GRL Roundup! This week J. Scott Coatsworth (Moderator of Queer SciFi) and Angel Martinez (of Mischief Corner Books) join us to talk about their recent experiences at GRL! J. Scott Coatsworth has written more than a dozen short stories. He also runs the Queer Sci Fi (http://www.queerscifi.com) site, a support group for writers of gay sci fi, fantasy, and supernatural fiction. Angel Martinez writes Science Fiction and Fantasy centered around gay heroes. She’s also one of the founders of Mischief Corner Books (http://www.mischiefcornerbooks.com), who give voice to LGBTQ fiction by publishing a diverse range of genres and topics. 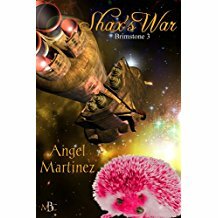 Angel Martinez is one busy bunny, being being a chief collaborator with Mischief Corner Books, a prolific writer of sci-fi novels and having time to visit us on more than one occasion! Find out more about Angel and her work on her latest episode with us. Episode 069 – Now With Bonus Content! What an unusual gem of a book this is. 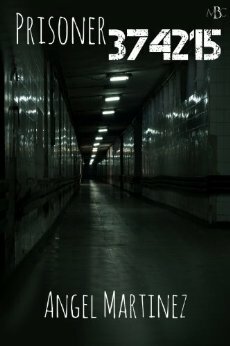 Set in a bleak future, it is the story of an unnamed prisoner, kept in solitary confinement and treated with nothing but contempt. His only companion is a prison guard he has called Scar, but this man barely speaks. Sometimes he offers a tiny bit of comfort, but the prisoner thinks he is imagining it. He dare not hope otherwise. As we gradually discover who the the prisoner is and why he is being treated so badly, a chink in the granite armour of Scar seems to be widening. This story is so beautifully told, not flinching away from the brutality of the situation, but crafting a gradual relationship forming between prisoner and guard. I did not dare to hope that this story would end well. I was not disappointed with the ending. It is well worth checking this story out. Amidst the grey cells and hideous cruelty, hope dares to flourish. I cannot say more without ruining the surprise. A very rewarding and cleverly told tale. It gives us great pleasure to announce Mischief Corner Books as the guest(s) on episode 057: Behind the Mists of Serialized Fiction! Vance is joined by Freddy MacKay, Toni Griffin, Angel Martinez, and J. Scott Coatsworth in an awesome roundtable discussion about writing serial fiction. They define serial fiction, go over the aspects of planning, world building, and working collaboratively, and then Vance pokes at distribution possibilities. They wrap up with the benefits to serial writing, and offer advice for content creators who want to work on serialized content. Ah, yes. Mischief Corner is a diverse group of authors who met on a mountain in Tennessee and decided since we probably were too easily distracted to rule the world that we’d settle for causing a bit of mayhem instead. In addition to making mayhem, we publish books with a diverse range of genres and topics… we live to break molds. It gives us great pleasure to announce Mischief Corner Books as the guest on our first Publisher Spotlight Episode. Join us as we talk with Angel, Freddy, and Toni about how the company was formed at a mountaintop retreat, what it’s like to wear multiple hats in a small company, the types of submissions MCB is looking to receive, and their current projects!. This Podcast Episode is AVAILABLE NOW!